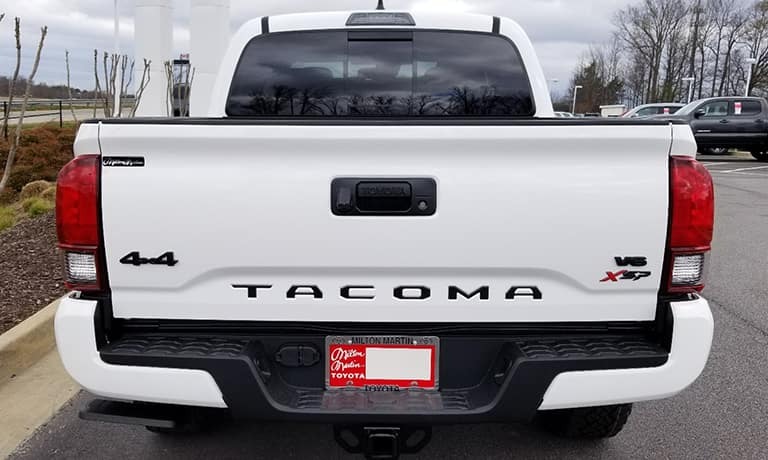 Whether you’re interested in enhancing performance, styling or protection, only Genuine Toyota Accessories give you complete confidence and peace of mind in the way you have chosen to personalize your Toyota truck or SUV. That’s because the Genuine Toyota Accessories you’ll find at Milton Martin Toyota are specifically designed, engineered, tested and approved for use on each vehicle. 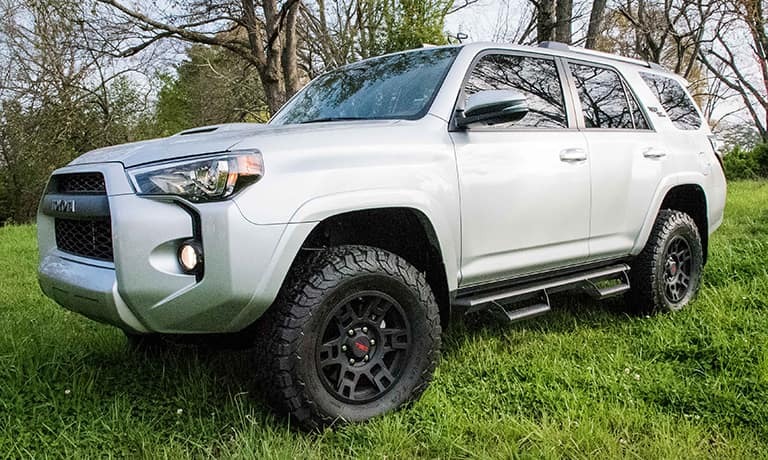 Our Gainesville, Georgia customers are looking for ways to not only improve the performance of their Toyota, but also improve their overall appearance. That’s why Genuine Toyota Accessories were designed to excel in both aspects, both performance and style. At Toyota Racing Development (TRD), competition teaches our engineers how to continuously improve our products. 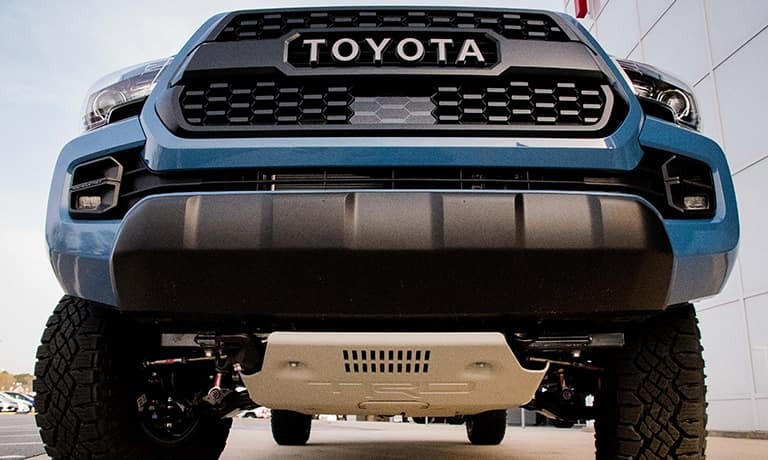 Each part is designed, engineered and manufactured to deliver maximum performance and reliability, providing the toughness and reliability that define every Toyota product, and that our Georgia customers expect. 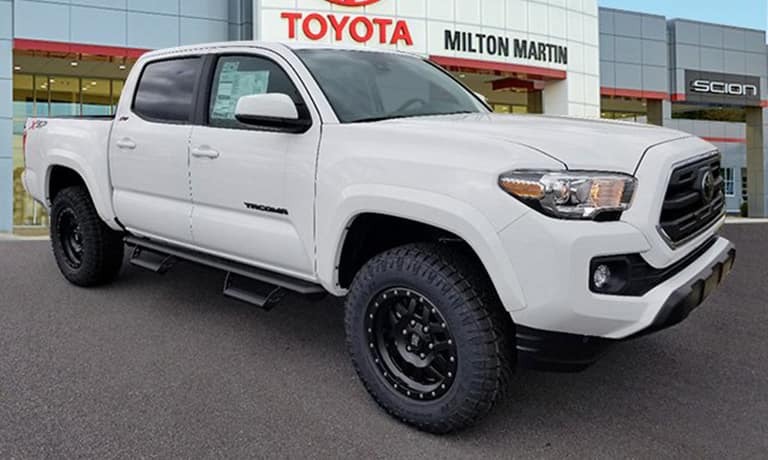 It’s time to get out and push the limits of what you can do on the busy streets of Gainesville, in your new custom truck or SUV from Milton Martin Toyota! 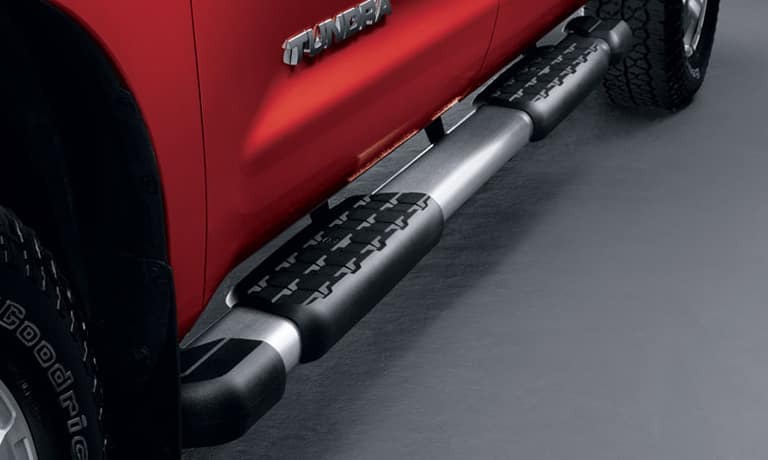 Step into the cab of your new Toyota truck or SUV with style and ease when you install Genuine Toyota Stepboards that are composed of rust-free, high-quality stainless steel. 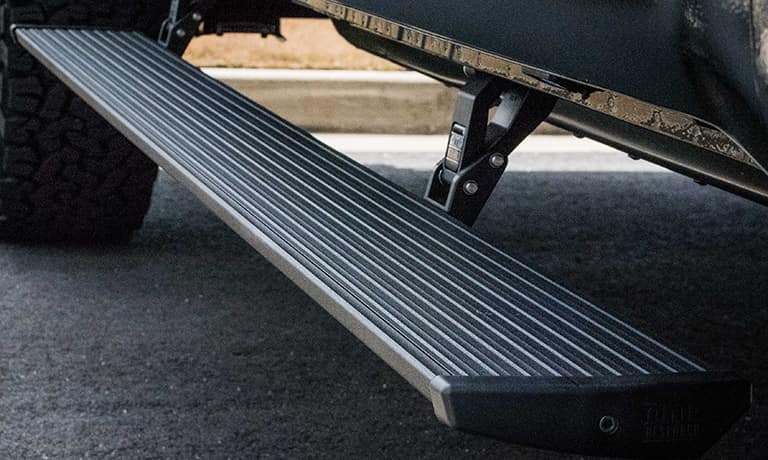 Besides giving your Toyota a more striking appearance, these stepboards also help reduce dirt and stone chipping on both the door and body of your vehicle. Energize the brute within your new Toyota SUV or truck with some deep breathing exercises. 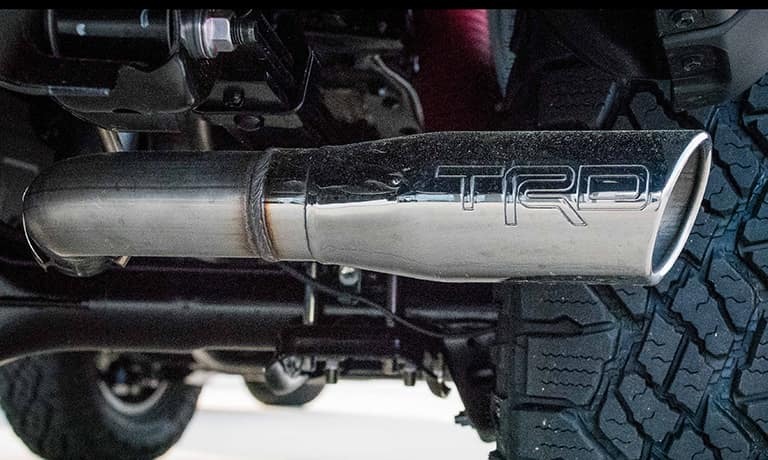 A Genuine Toyota TRD Pro Exhaust can provide your engine with greater power thanks to a less restrictive path, while bellowing out a deep and throaty tone that will turn heads on any Gainesville street. While your new Toyota is certainly not afraid of a little dirt, you can really go all out now while still keeping the interior like new with Genuine Toyota All-Weather Floor Liners. 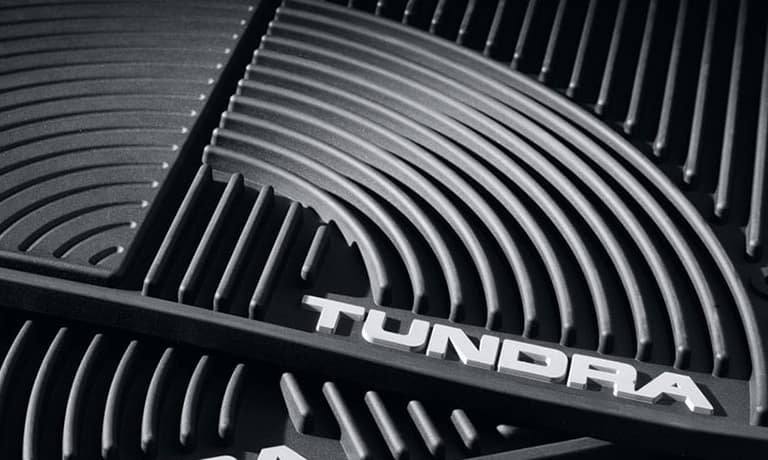 Precisely engineered to fit your footwell so your carpet stays protected, these mats allow you to enjoy the outdoors without having to worry about cleaning up afterwards. 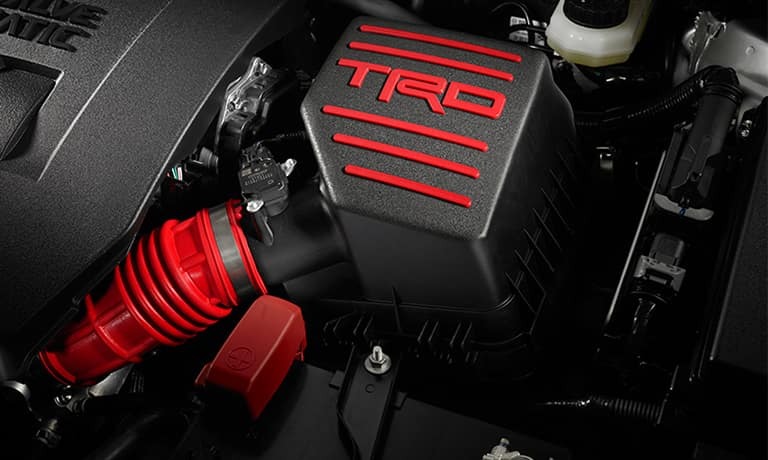 Increase the quality of the air that flows to the motor of your new Toyota while also increasing its performance with a Genuine Toyota Performance Air Intake. 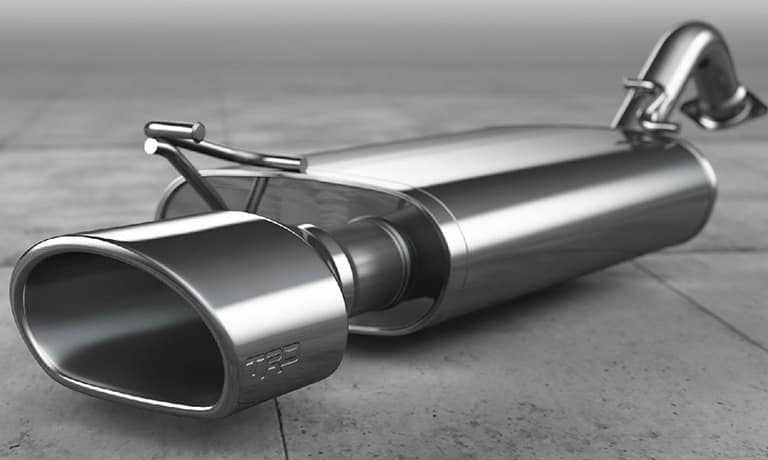 Taking cooler air from behind and below the headlight area to supply your engine with cooler and denser air, a Performance Air Intake increases horsepower and allows your engine to roar. 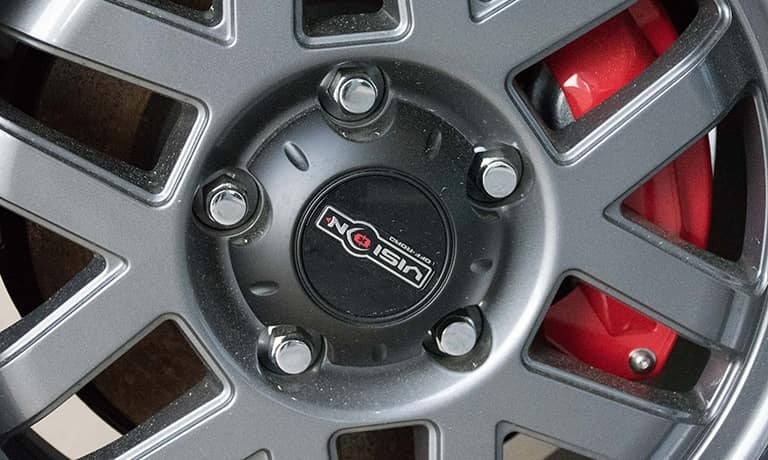 Add some flash and give your new Toyota a unique and custom appearance by outfitting it with Genuine Toyota custom alloy wheels. 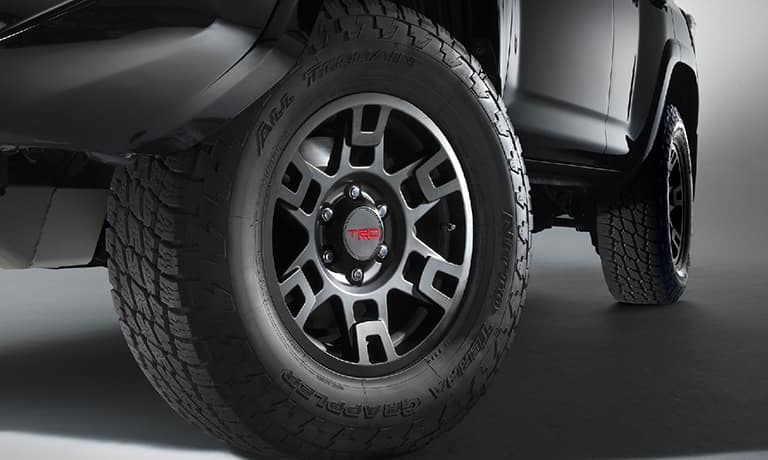 The alloy wheels available for your new Toyota are light, which helps to enhance heat dissipation and provide greater rigidity when performing high-load cornering maneuvers. 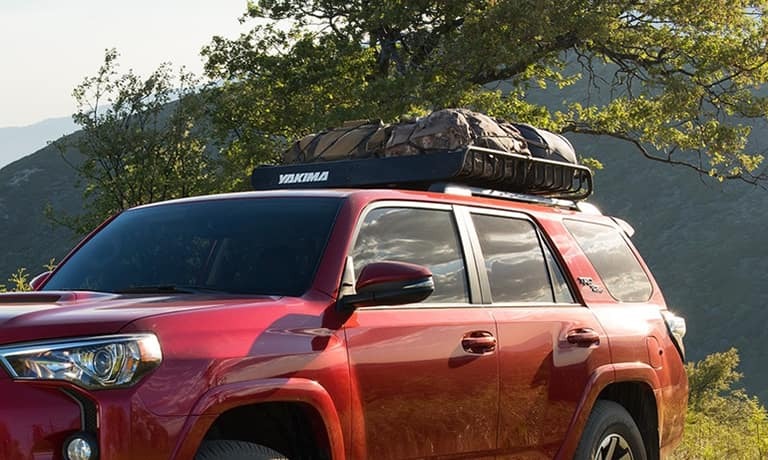 Genuine Toyota Roof Rack Cross Bars were designed to seamlessly integrate with the existing roof rails of your vehicle, allowing Gainesville, Georgia owners to secure their cargo with more confidence. Easy to adjust by sliding along the side rails and lock in place with thumb screws, Roof Rack Cross Bars are the ultimate in cargo-carrying convenience. 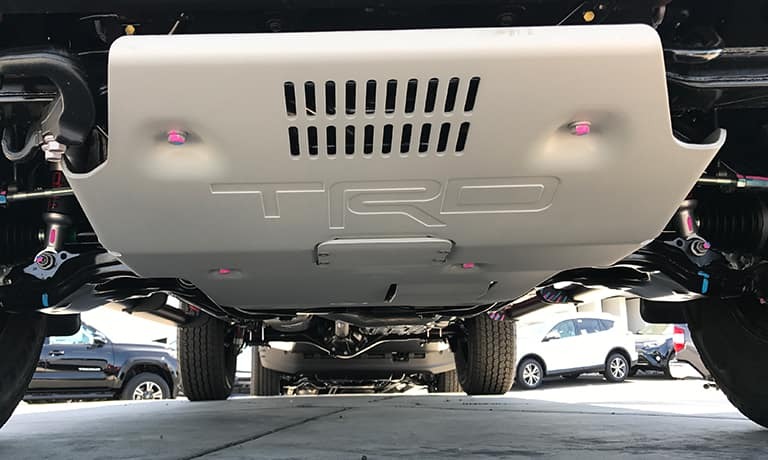 Help keep the underbelly of your new Toyota vehicle safe from vengeful Gainesville, Georgia terrain with the TRD Pro Front Skid Plate. 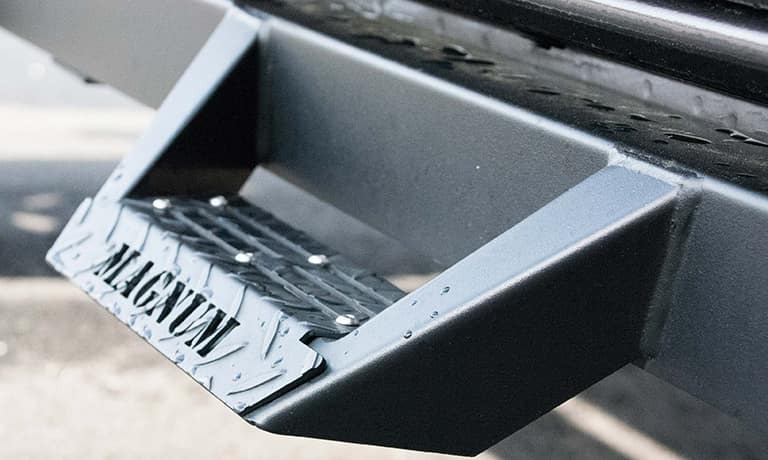 Made from stamped and formed silver powder-coated aluminum, your Toyota’s Skid Plate helps to protect the vehicle underbody from damage that can result from flying stones, branches and other types of debris. 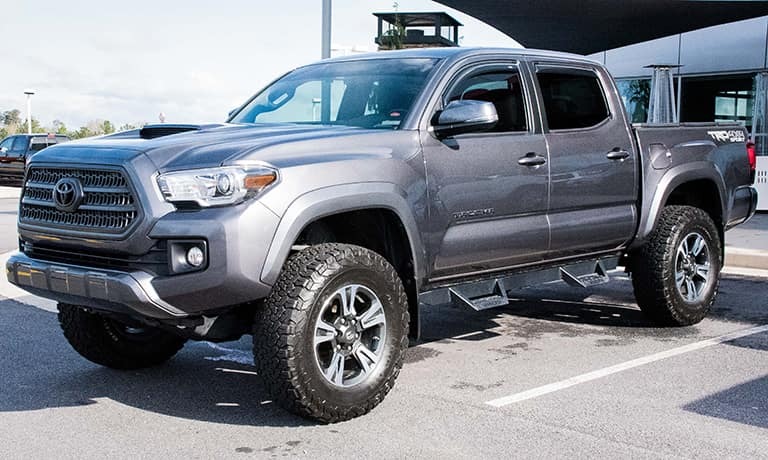 Whether you’re enjoying some off-road Gainesville excitement or stuck in stop-and-go traffic, you’ll quickly realize that the left pedal of your new Toyota is just as crucial as the right. 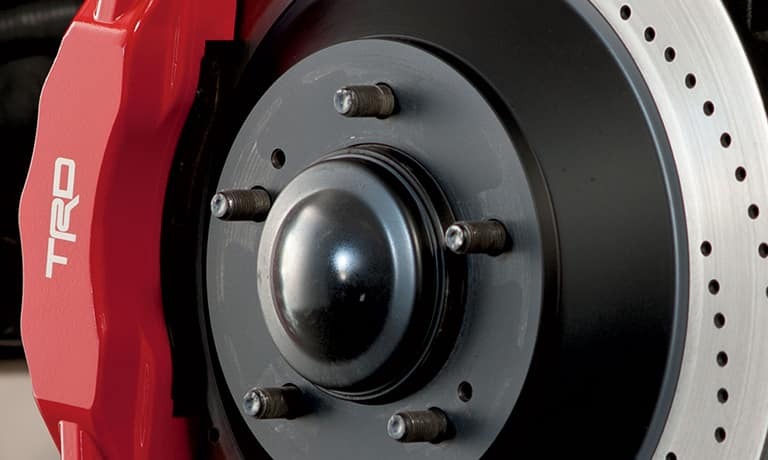 The enhanced stopping power from Genuine Toyota Performance Brakes helps to decrease stopping distance while increasing driver confidence. Milton Martin Toyota serves customers from Gainesville, Oakwood, Alandale and all of the surrounding communities, helping them find the new custom Toyota they’ve been wanting. We’re proud of the exceptional level of customer service that our customization experts are known for providing, and they work hard to make sure that our custom truck and SUV customers leave our dealership satisfied. 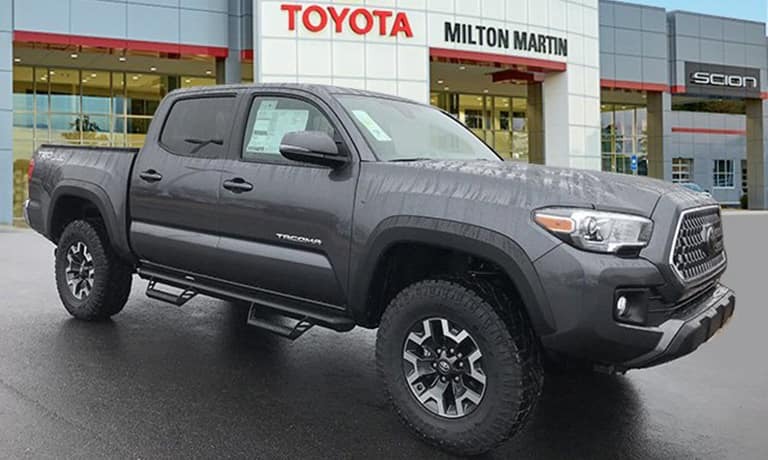 If you’re thinking about purchasing a new custom Toyota SUV or truck, visit 3150 Milton Martin Toyota Way in Gainesville, Georgia to speak with one of our friendly and knowledgeable custom vehicle specialists.